What are grape hybrids? And why are they used for making wine? Grape hybrids are hardy, productive, and disease-resistant grape vines that have been to one degree or another engineered by humans. Hybridization of plants is when you pollinate one plant species with the flower of another one. So in viticulture grape hybrids are the cross-breeding of two different varieties of wild, naturally evolved grape vines. The hybridization of vines is aimed at making the offspring of the two varieties a better vine in terms of resistance to disease, yield, and quality, etc. As far as viticulture's evolution through hybrids, a lot of effort has been aimed at resolving some issues that plagued the wine world in previous centuries, like the widespread of philoxera, which killed so many of the indigenous European varieties of grapes, and also to stop the spread of fungal diseases which can prove terribly troublesome for a healthy vineyard. Hybrid vines usually outperform in both hardiness and resistance, helping the wine grower consistently harvest quality grapes, even in times of drought, climate spikes, or even heavy rains. Often these hybrid vines are created by mixing a vinifera varitiy, or traditional European variety, which is widely considered to give better fruit and aromatic quality, with other hardier/wilder varieties like Vitis Riparia, which is actually a grapevine indigenous to North America. In particular in the United States, we use French hybrids like Vidal Blanc. Vidal Blanc was developed by a French man named (you guessed it!) Jean Louis Vidal. It's a white grape that produces an exquisitely balanced white wine that's smooth on the palette. There's also the wonderful hybrid Chambourcin also created by French botanist Jean Seyve. But because the Seyve's notes were lost in history, Chambourcin is of unknown origin. Both Vidal Blanc and Chambourcin are successfully grown here at Hopewell Valley Vineyards. Another notable hyrbid, which has history in our Northeast region, is the Traminette, created at Cornell University, which has a great yield, excellent wine quality, and is hardier than it's acclaimed parent vine, the German Gewürztraminer. 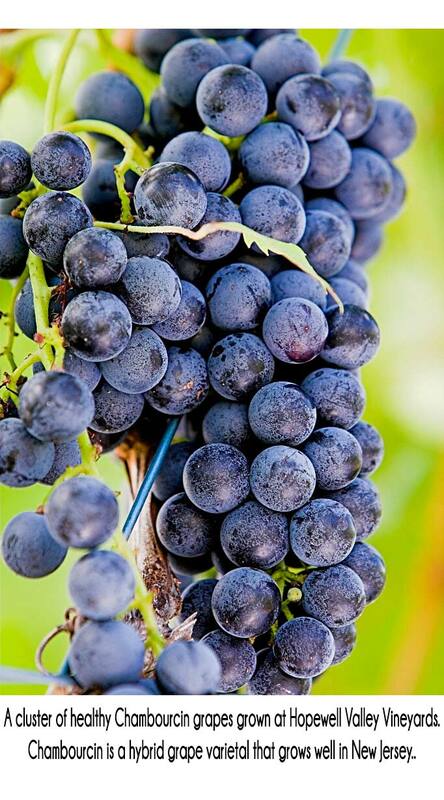 New Jersey Wineries › Wine FAQs › What are grape hybrids?